Every four years, Democrats, Republicans, and Independents in the United States of America come together to decry the negativity and hyperbole flooding the airwaves and to complain that election season is way too long. Then, on Election Day, we collectively give a sigh of relief to celebrate the end of the craziness. Used most famously by Franklin Delano Roosevelt in 1932, “Happy Days Are Here Again” helped convey optimism in a troubled time, when the country was mired in a deep economic depression, and when political strife in Europe and Asia suggested another war world was possible. Like Roosevelt, Ronald Reagan’s election in 1980 signaled a political and ideological shift in the country, which had been beset by economic stagnation and international turmoil. Reagan, in running against an incumbent, argued that his successful service as Governor of California would translate to success as President, and he would be able to lead the country in very challenging times. Bill Clinton won the Democratic Party nomination in 1992 despite a contentious primary, during which he secured himself the moniker “The Comeback Kid” after losing a state he had been projected to win due to damaging revelations. “Don’t Stop” has become his theme song in many ensuing political events. “Only In America” has been used widely by a variety of campaigns, most prominently by George W. Bush and by Barack Obama. In both cases, it served as an uplifting anthem to rally a deeply divided country. Donald Trump has run a unique campaign, channeling the frustration of millions of people who have not felt heard or represented by government. The campaign songs used by his campaign similarly reflect the dissatisfaction and anger made manifest in a highly polarized nation. What are your favorite campaign songs? Let us know! Do you remember when you were studying history in school, and how extraordinary the events and people you covered were? And, despite that, did you ever feel like your teacher had the unique ability to turn everything that was exciting and remarkable into the most dreadfully dreary and boring material? Welcome to Marginally Interesting Moments in Musical History, a continuing series of bite-sized tidbits and trivia that may or may not be apocryphal, but always fun to read! In this edition, we’ll recount the tale of the brief encounter between the famous stride pianist Fats Waller and the notorious mobster Al Capone. 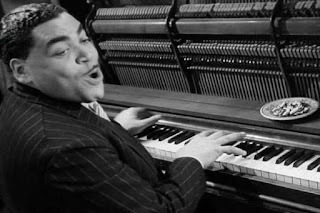 Successful early in life, Fats Waller, composer of such hits as “Ain’t Misbehavin,’” found himself on the wrong end of the barrel of a gun after a performance in Chicago in 1926. Several men pushed him into a car, and the understandably terrified Waller anticipated an untimely demise. He was taken to a building and shoved inside. Although for very different reasons, Al Capone, the Prohibition era gangster dubbed “Public Enemy No. 1,” was similarly successful early in life. On the very evening Waller was kidnapped, Capone was celebrating his birthday. He and his goons warmly greeted their surprise (and surprised) guest, Waller, who promptly was ordered to play the piano in the room. Waller did so. Three days later, when the party concluded, Waller departed. Very tired and perhaps a little drunk, he had nevertheless enjoyed a prosperous outing. The partygoers evidently had appreciated the services rendered, as they had provided Waller thousands of dollars in tips. Stay tuned for the next Marginally Interesting Moment in Musical History!